First price five gated stallion with 8.04 in Total. He is a compatition horse both in five gate and in A-class. 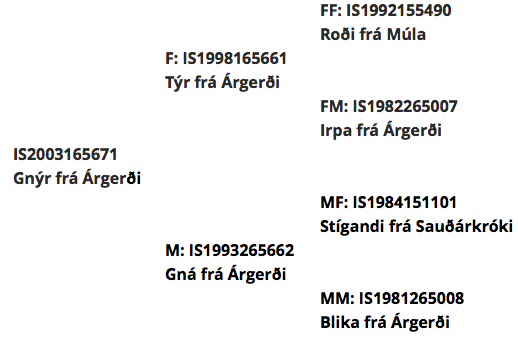 Last fall Gnýr received 8,57 in A-Class. Gnýr is son of Týr frá Árgerði and Gná frá Árgerði. 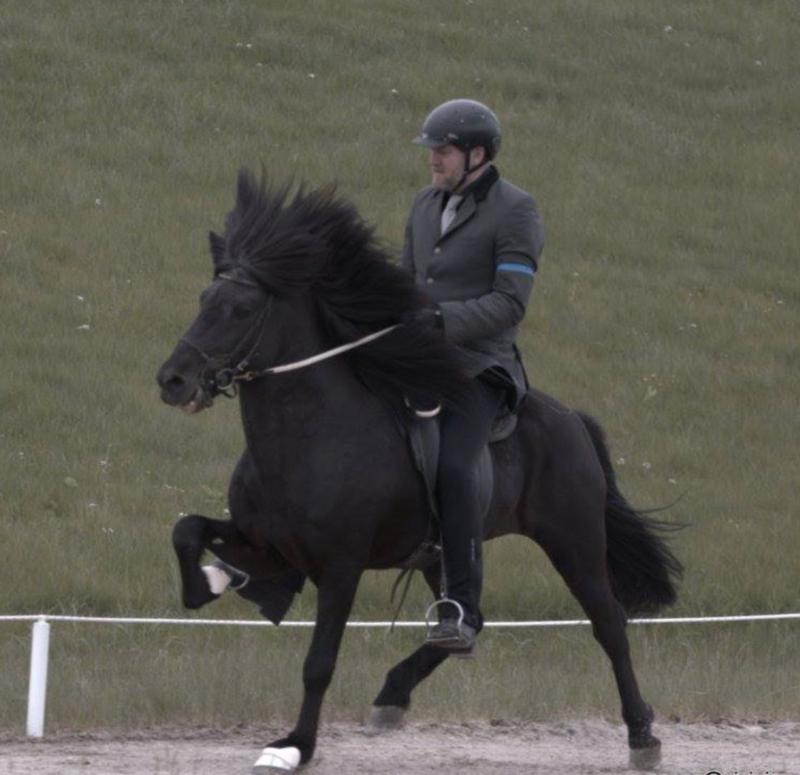 Gnýr from Árgerði (8.02) is a first prize five gated stallion. 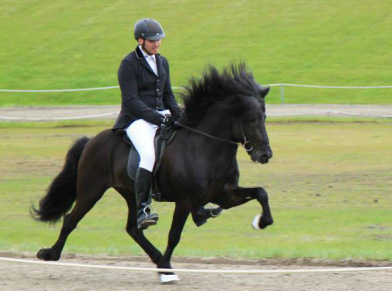 He is a competition horse both in loose rein tölt (T2), tölt (T1), five gate (F1) and A-class. Highest score in Loose Rein Tölt (T2) is 7.20. Highest score in Tölt (T1) is 6.61.Highest score in A-Class is 8.57. 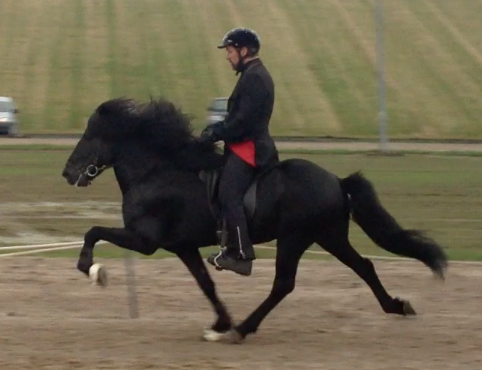 ​Gnýr is a beautiful black stallion with great temperament and is easy to ride. Gnýr frá Árgerði and Jóhann Ólafsson, from Team Heimahagi, won the Slaktaumatölt T2 with the score of 6.75 in the Gluggar og Gler Deild / Hraunhamar 2016. They had the score of 6.43 in the preliminaries and were number one into the Finals where they took the gold with the score of 6.75. A Class Gæðinga Preliminaries (8.57). A Class Gæðinga Finals (8.57). 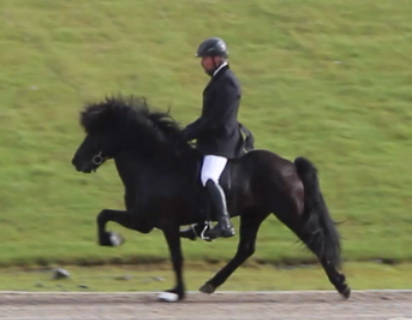 In this video we can also see Gjöll frá Skíðbakka III ridden by Leó Geir Arnarson.